Home → Travel & Event → Takamatsu and beyond – Wait, there is more! Takamatsu and beyond – Wait, there is more! 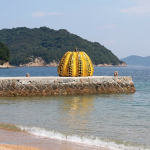 Our family took a ferry from Osaka through Seto Inland Sea to Shodo Island, northeast of Takamatsu. The island is famous for the children’s book ‘The twenty-four Eyes’, whose author Sakae Tsuboi was a local. The movie set is now a tourist attraction. (Think ‘Anne of Green Gables’ in Canada). We visited the replica of old wooden primary school with blackboard and chairs. 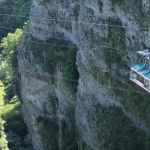 We also visited beautiful beaches and mountainous inland, olive gardens and windmills. 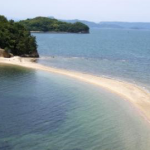 Paul Batten recommends Shonai Peninsula, which sticks out onto Seto Inland Sea from the northwest edge of Kagawa Prefecture. 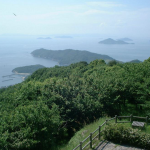 Paul loves the view, and explains that the area is said to be the origin of the Japanese fable ‘Urashima Taro’, which is a fascinating science fiction/fantasy tale. 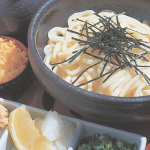 Everyone thinks of the Udon noodle when Takamatsu and Kagawa Prefecture is mentioned. A local friend who was born and bred in Takamatsu says, “You can’t miss it! Walking down the street you come across numerous Udon shops! 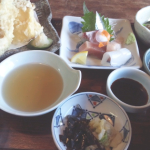 Try one with tempura or curry flavour if you find it too plain.” And of course, fresh seafood.